Want to see a favorite local musician featured? If you are interested in being featured or if you go and see a local band/musician that you think others would enjoy as much as you do drop me a line and let me know. I would love to listen to them and perhaps feature them in an upcoming week. 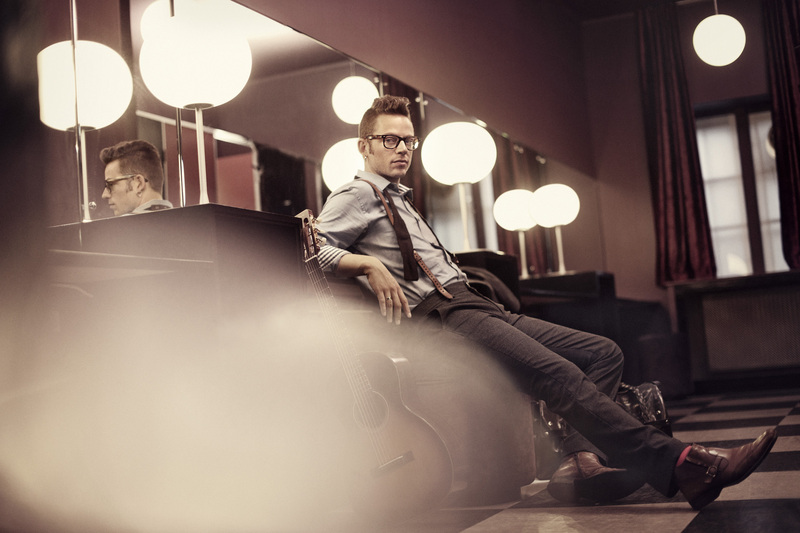 Stay tuned next week I will be featuring Jarle Bernhoft from Norway. He looks like a GQ model but there is a lot more there than just good looks. This young man has talent!!! Hello! As I said yesterday today I was featuring Mike Wyatt a local kid from London. Most of you have never heard of Mike. See, that’s why I am here, to help open the doors to the world of the local artist. Local doesn’t necessarily mean down the street and around the corner from YOU. In the world of music and the digital age local means just that the little guy. No entourage, no huge tour bus, no stadium lights. So let’s focus on Mike, shall we? Mike Wyatt is a 21-year-old local who hails from London. He is a session guitarist as well as a budding solo artist branching out earlier this year. His first release “Shouldn’t Walk, Talk or Stay” was released May 10,2012. He is new to the scene in a sense but don’t let that lead you to equate that as a lack of experience. He has played sessions with The Ting Ting’s (remember “That’s not my name”?) as well as Dannii Minogue, y’know Kylie’s sister who has found her own success recording as well as on TV as a talent judge and designing fashions. Mike’s influences are before his time, blues legend B/B/ King and Muddy Waters to name a few. He also draws influence from current artists. Most recognizable is John Mayer. His latest single release is “Run” (August 26,2012). Run emphasizes a simplistic guitar that repeats throughout. It provides melancholy sound to his voice. A voice that reminds me of perhaps a young Tom Waits. His voice is gritty and wise beyond his 21 years. It betrays his boyish Macaulay Culkin looks. (Mac when he is cleaned up and sober). They lyrics are presented simply enough and in a world of dance tracks it is nice to go back to music in its simplest forms, a voice and a guitar. I found a few other tracks on his YouTube that showcased his voice perhaps a little better than Run did. At least they opened the door a bit wider to see really what he is hiding. You could feel the blues and hear the current influences as I said before John Mayer to be specific. One song in particular is the song “One Day”. This song was released with the trio Alice Ave. (see I told you he was hiding something). In this song which he has posted as a solo on YouTube you can hear his relevance in today’s market. It is catchy while holding true to his roots. Mike’s style is a throwback to older days yet he can be relevant today when he adds brightness to both his guitar playing and his vocals, example “What I Need to Say”. It is simple, bright and lyrically catchy. 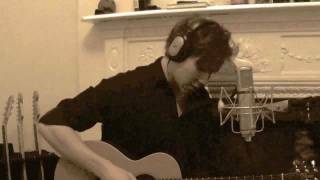 If you enjoy the old Blues greats as well as some current artists with a blues flair then by all means check out Mike Wyatt at http://www.mikewyattmusic.co.uk/ His website contains links to videos and a shop so you can purchase his new single “Run”. He is a relative newbie on the block, check him out. I love music and I write, I am a classically trained vocalist who did a stint with a local opera chorus. I said local not The Met. I love the amount of undiscovered talent that is out there, whether the artist has aspirations of making it big time or is just content playing local venues because it is a passion. I feel that there is so much out there. So much that goes undiscovered by the general public due to our location in the world or our ability to get out and see what talent is hiding in a darkened night club. Years ago I wrote for a local musicians magazine. I interviewed nationally known bands and did live reviews of their shows. We had a few pages dedicated to giving honest reviews and pointers to local musicians. The point of the reviews was to offer constructive reviews not destructive. I am no Simon Cowell I do not believe in trashing someone who is putting forth their best effort. All of this was at the cusp of the digital explosion so the format was almost always a cassette tape and it wasn’t always of great quality but you knew something good when you heard it. I found many bands that I shared with my friends, some are still around today and some never made is past their parents garage. Nonetheless they all had dreams and aspirations, even if those aspirations were just playing to venues in their home state. So this is where I feel I come in again. Putting what I know to work for you the listener as well as the musician. To share music in the digital age where music is so easily shared by the click of a mouse. Shared with less effort than that which it took to create it. There is so much out there to explore and to discover, some of it is on YouTube, some of it is on iTunes. My goal is to get as much of it here, in one place where you can come to see who may or may not be of interest to you. If you like them, perhaps they play in a town nearby or perhaps they are available for purchase on iTunes. Either way we are all sharing and discovering music. So if you are a local guy or gal who is in a band, a singer-songwriter or perhaps you follow a band that you feel needs more exposure. Drop me a line, a link with some bio info/photos as well as a track or two for listening and review. I would like to showcase the artist behind the music as well as the music itself. This blog will not be possible without your help. After all this is a blog with your interests in mind.